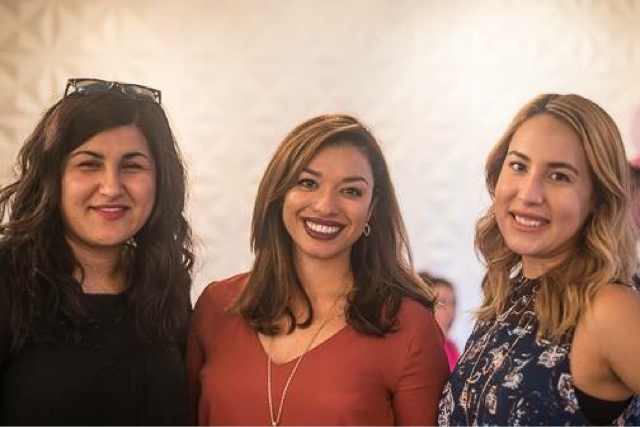 Earlier this month I hosted a small event, partnered with Stella & Dot Jewelry with stylist, Valerie Garrison at the most amazing chocolatier that recently opened in San Antonio, Chocollazo. In honor of Breast Cancer Awareness Month, we displayed the latest Fall/Winter Collection including the beautiful and delicate Rose Gold pieces from the Wishing Collection to benefit Bright Pink. All purchases of those pieces would have net proceeds sent to this wonderful organization is the only national non-profit organization focused on prevention and early detection of breast and ovarian cancer in young women. The ladies of the San Antonio Fashion Society were present, along with other lovely guests were also in attendance. 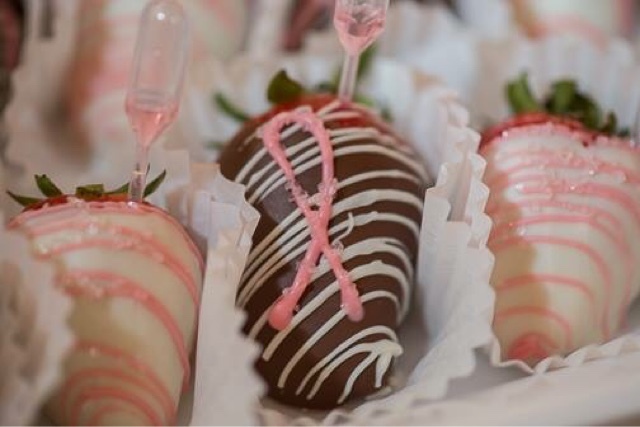 It was a fabulous turnout, especially since Mary Collazo, of Chocollazo prepared delicious treats for us! We had chocolate covered strawberries infused with Rosé and the glasses of Rosé were flowing. The jewelry was all just so beautiful! If you didn't get a chance to attend, don't fear! You can still shop from my Trunk Show until October 27th, 2016! Don't miss out on tthe gorgeous Fall/Winter Collection! Shop the latest collection here: Stella & Dot. 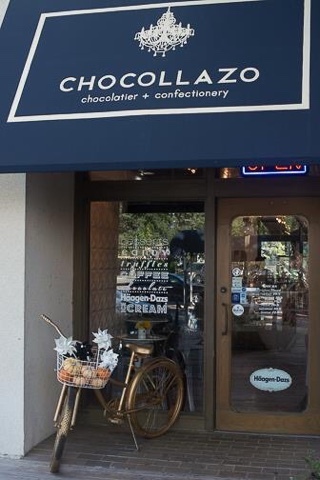 Al principio de mes, fui anfitriona de un pequeño evento en conjunto con Stella & Dot Jewelry con la estilista Valerie Garrison en la increíble chocolatería que abrió recentemente en San Antonio, Chocollazo. En honor al mes del Cáncer del Seno, mostramos la colección de joyería de la temporada de otoño/invierno junto a las hermosas y delicadas piezas en tono de oro rosado que benefician a la organización de Bright Pink. La venta de esas piezas de la línea Wishing otorga 100% a esta excelente organización, la cual es la única sin fines de lucro que se enfoca en la prevención y detección temprana de cáncer del seno y de ovarios en mujeres jóvenes. Las chicas del San Antonio Fashion Society hicieron presente aparte de fabulosas invitadas que disfrutaron de deliciosos entremeses hechos por Mary Collazo, de Chocollazo. Tentamos al paladar con fresas cubiertas de chocolate, rellenas de vino Rosé entre copas de Rosé, a su vez. La joyería provista por Stella & Dot estaba preciosa! Si no tuviste la oportunidad de asistir al evento, no te preocupes! Aún puedes comprar de mi presentación hasta el 27 de octubre de 2016! No te pierdas esta oferta, compra tu joyería y aporta a una buena causa! 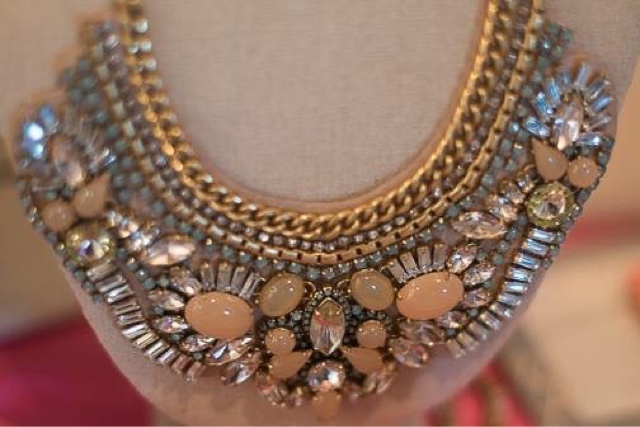 La collección de Wishing y de otoño/invierno está disponible a través de: Stella & Dot. 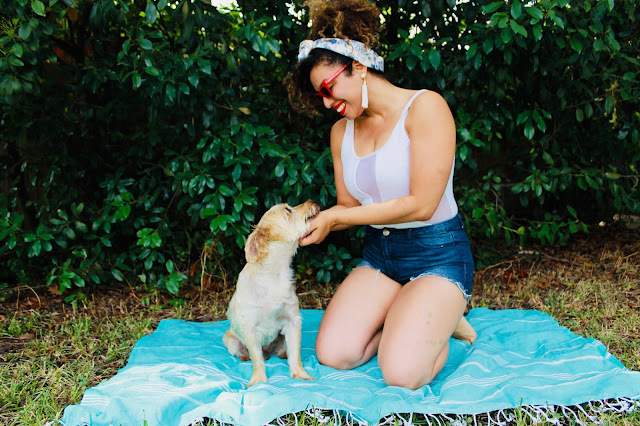 Gracias, bella! Estoy tratando de apoyar más eventos centrados en una causa. Se siente super bien! This looks like so much fun! I love S&D jewelry and it is such a great cause. Thanks, Amy! Yes, this jewelry is just gorgeous! This looks like a great event. The S&D jewelry is something I will have to check out. I might have to shop through the clothing line as well for this winter. Great Post love! Look like a fun event! Gracias, amor! Si, son todos muy bellos! 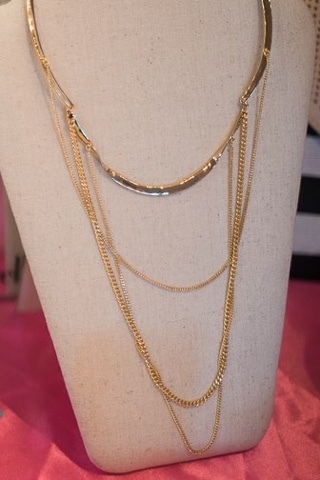 Love the statement necklace! I really love how some of the proceeds go to a good cause! Thanks, Filipa! They were so delish! I think that Breast Cancer Awareness is an awesome cause to raise money for. I commend you for your actions. You all look fantastic. Thanks, Sharon! It was great! Yes, they were all so beautiful! Those necklaces area really nice and everything looks greats! For sure a great event!! Thank you, so much! Sending hugs! Beautiful pieces, and such a great cause! It’s so great to see you using your platform to raise awareness for things that matter! The strawberries look delicious & the jewellery is so beautiful too. 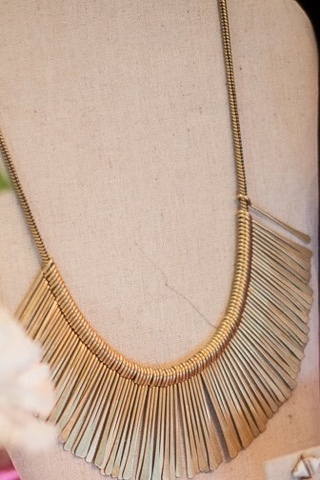 Love shopping for a cause- and S&D has some pretty pieces! Yes, I'm in love with every piece, and love that they contribute to great causes, too!